System: Side Operated plastic beaded cord raises and lowers the material. 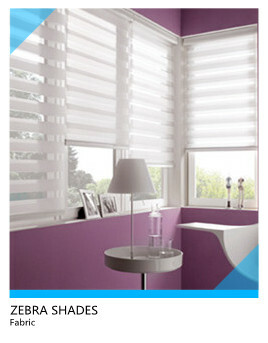 Description: Zebra shade combines the light control of horizontal blinds with the elegance of sheer fabric. It is made with special weave method.